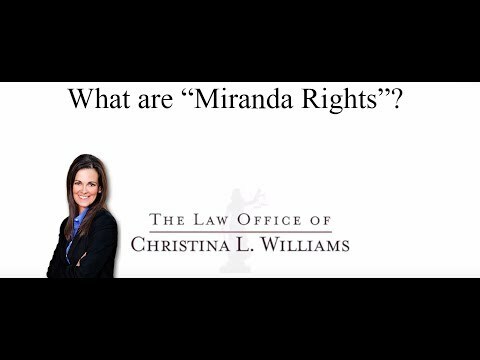 Your Miranda Rights are from a 1960 Supreme Court decision in Miranda v. Arizona, in which a person that is arrested for a crime, in custody, has certain rights that law enforcement must remind the person of prior to questioning. Among those are the right to remain silent, knowing that anything that the person says can be used against them in a court of law. They have the right to an attorney and if they can’t afford an attorney, an attorney can be appointed to represent them. The law enforcement officer is then required to ask the person if they waive those rights and agree to talk to them about what it is they are accused of. An attorney is always going to tell you to never make a statement against yourself, always ask for your attorney and invoke that right to remain silent.